US Hawks Hang Gliding Association • View topic - Censorship at Funston? Erika, Joe Greblo, Logan, GGNRA, NPS, Mike Meir, BobK, all FFFF directors and many others: You are equals here and are not singled out. All are welcome to help here. Feel, please, that no one is singled out; we may all contribute. One family of problem solvers here. Steve of FFFF just indicated he will be joining this conversation in this forum. Great, Steve. Steve is liaison to GGNRA for the club FFFF. Last edited by JoeF on Fri Sep 21, 2018 8:38 am, edited 1 time in total. Thank you for helping to clarify and rule clearly on this matter. 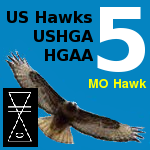 Discussion among leaders is growing at United States Hawks Hang Gliding Association: HERE . Especially: Thank you for serving all of US in your respective positions. Nobel work! Joe, based on your direct communications with Steve, I've temporarily bypassed our normal email verification process for srskypuppy (a screen name commonly used by Steve Rodrigues). He should be free to post here at this time, and I've sent him a PM to notify him of that fact. Thanks for your sincere desire to keep hang gliding alive. I remember meeting you at Crestline many years ago and telling you how interesting and thought-provoking I often find your postings, specifically when they are in the realm of science and physics! In regard to the role and the legal breadth of the National Park Service / GGNRA, others can debate their personal philosophical beliefs ad nauseam, but instead, I’d rather focus here on the practical facts of the matter. The Fellow Feathers of Fort Funston Hang Gliding Club enjoys numerous benefits from being a Chapter of the USHPA, which has allowed us to keep Fort Funston open to hang gliding since the creation of the GGNRA in 1972. First is confidence in the USHPA Pilot Proficiency Program, which has been evolving over decades with a good record of turning out competent pilots with international recognition. Second is the court-proven reliability of the USHPA waiver, which for legal reasons is most effective because of the pilot being a paid member (Having something to do with the exchange of compensation for benefits derived). Third is access to the RRRG insurance. Given that the GGNRA requires that the club and its pilot members carry liability insurance, I submit that being a member of USHPA makes sense based on the financial aspect alone! Where else can a hang gliding club purchase 1 million per incident / 2 million aggregate site insurance for just $200- per year? Even if comparable insurance were available, and even if that insurance were to be a few dollars less expensive, I do not believe the minor cost savings would outweigh the overall benefits of the Fellow Feathers association with USHPA. Given the above, I see no compelling reason for the club to change its policy or requirements. On a personal note: There are around 200 pilots who fly the Fort every year, so please, rather than ask the club to change its parameters for you, I invite you to join USHPA and come up and fly with us! 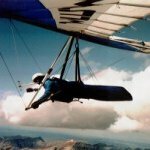 I will be happy to give you a personal site intro, help you unload and setup your glider, and get you safely launched at one of the most beautiful locations on the west coast. Please PM me if/when you want to make arrangements. There are a number of problems with your position on this matter. I'm only going to mention two of them at this time. 1) Many U.S. citizens (and well-qualified pilots) may not want to join the organizations you represent in order to use our public parks for recreation. Many of those citizens feel that USHPA is a repugnant organization promoting dangerous activities and retaliating against those who speak out against them. 2) Other U.S. citizens (and well-qualified pilots) are barred from joining some of the organizations you represent - also out of retaliatiion. USHPA, in particular, has gone on record prohibiting citizens from being a member of USHPA for creating competing organizations and for legal testimony in a court of law. You would like to portray USHPA as an objective and impartial provider of ratings and insurance. It is not. That truth is making itself evident. There's a lot more to be said on this topic, but this is a good start. SR, My below response is meant to be taken with the sincere respect with which it was written. srskypuppy wrote: . . . I’d rather focus here on the practical facts of the matter. The Fellow Feathers of Fort Funston Hang Gliding Club enjoys numerous benefits from being a Chapter of the USHPA, which has allowed us to keep Fort Funston open to hang gliding since the creation of the GGNRA in 1972. This statement assumes that another hang gliding group, not affiliated with the USHPA, would fail (or would have failed) at coordinating flight activities at FF. Since there is no other such entity then FFFF can't really claim any advantage over some other possibility. srskypuppy wrote: First is confidence in the USHPA Pilot Proficiency Program, which has been evolving over decades with a good record of turning out competent pilots with international recognition. While I would accept that what you say here is accurate, GGNRA is owned by the Federal government. And the Federal government, by way of the FAA and Part 103 says nothing about hang glider pilots needing "ratings". Forget about some specific entity (the USHPA?) being the only one that can issue such a (undefined and unrequired) rating. A practical fact is that hang glider pilots with adequate and proper skills will be able to fly safely at FF. A hang gliding "rating" issued by John Doe could be just as valid as one issued by the USHPA. And just the same, a rating by the USHPA could have been issued improperly or without proper scrutiny and the receiving pilot not actually be capable of flying at FF. The rating issued by John Doe could even be better than USHPA's version (or maybe worse). Since FFFF accepts no other rating system, then once again, the USHPA's version is both the worst and the best. I accept that the GGNRA has some amount of confidence in the skill level(s) of HG pilots flying at FF. But has there ever been an accident to FF? Has a pilot ever shown up who had the proper rating but seemed unable to deal with the site's particulars? After arriving, has any pilot with the proper rating decided, on their own, that they weren't ready to fly at FF? Hinting that the USHPA's rating system is so good that it removes all liability from the GGNRA brings us to the conclusion that liability coverage is indeed not actually necessary. srskypuppy wrote: Second is the court-proven reliability of the USHPA waiver, which for legal reasons is most effective because of the pilot being a paid member (Having something to do with the exchange of compensation for benefits derived). I expect that you know of every court case in which the USHPA's waiver has been questioned. Also, the waiver protects the USHPA, other USHPA members and USHPA Chapters - from a member or their next of kin(?) from suing the USHPA. The waiver is of absolutely no value to the GGNRA. If it has been implied to have some value to the GGNRA then I would be worried. srskypuppy wrote: Third is access to the RRRG insurance. Given that the GGNRA requires that the club and its pilot members carry liability insurance, I submit that being a member of USHPA makes sense based on the financial aspect alone! It refers to the California and Federal laws that disallow a party who recreates on open lands from suing the owner of that land for some damage suffered by that individual. A different case could be if a FFFF member injured a fellow visitor to the GGNRA. I believe that such a person could sue the pilot who injured them. The USHPA's RRRG might cover that pilot's legal expenses. But, they may also deem that that pilot was truly at fault and walk away from such a losing legal case. Considering some other non-USHPA pilot injuring a fellow visitor to the park, . . . well they are just as responsible for their actions as the (maybe) RRRG insured USHPA pilot. The one advantage to the USHPA regarding the non-USHPA pilot in this scenario is that the RRRG has no exposure or responsibility. So, let's see, . . . California law holds the GGNRA harmless from legal liability connected to individuals using their lands. A USHPA pilot who injures a third party at the GGNRA might be covered by the USHPA's RRRG. If so, then the RRRG's capital is diminished - particularly if the damaged party wins. If the damaged party wins BIG, then the RRRG could go under. The best way for things to go in such a case is for the RRRG to deny coverage to the USHPA member, or for the accident (that injured that third party) to have been caused by a non-USHPA member (since the RRRG has no horse in that race). srskypuppy wrote: Where else can a hang gliding club purchase 1 million per incident / 2 million aggregate site insurance for just $200- per year? Considering California's Recreational Use law(s), what is the site insurance good for? An injured (third) party can't sue the GGNRA for damages they suffer. That's part of the law. I also expect that there are signs posted to warn spectators to not enter the launch area or LZ at FF. So spectators have been warned of any unusual dangers. That's a good point. If you are thinking about flying at a site where you think you are likely to hurt a third party (or another HG pilot) then you should probably not fly there. Personally, in my 43 years in the sport I've never injured a third party, their property, or another pilot. So why should I pay $150 a year for something that, odds are, I will never need. As they say - "A fool and his money are soon parted." srskypuppy wrote: Given the above, I see no compelling reason for the club to change its policy or requirements. I've now added my own "above". I'd like to know how you consider my points. PS - One thing about the California Recreational Use law(s) is the thing about "paying". Hypothetical: I want to fly at FF but I must pay a party authorized by the GGNRA to be allowed to do so. I have a flying accident that had something to do with a problem with the flying site - not my skills. My lawyer looks into things and finds a solid paper trail that shows that GGNRA was very much aware that FFFF and the USHPA had been paid in direct connection with my use of the FF flying site. Seems like "pay to play" to me. I wonder if my lawyer could find a way to invalidate the GGNRA's typical non-liability? srskypuppy wrote: I invite you to [pay the] USHPA and come up and fly with us! A hypothetical lawyer would probably love to present that (not necessarily altered) quote to a jury. Not that I hope that would ever happen. There are many points to cover; and it seems posters are taking time to present well. I will be joining the conversation; when I do I will not cover all points at once, but will aim to take little steps. I do not ask for me; I have been working for a growing group of OTHERS. Has FFFF kept a record to tally who has arrived but were not allowed to fly? I am aiming to open FF not just for me alone, but for a category of HG Pilots. That category may be populated as time unfolds with thousands of pilots who would occasionally come to FF to fly for a day. == is not going to join FFFF as it is now configured for flying HG pilots wherein it insists for such members or flying non-members a joining of USHPA. When such clause is dropped, the subject pilot might join. == is willing to work with other pilots cooperatively for site traffic order and safety. == is willing to respect the details of the full site with respect to no-go, no-linger, proximity distances, ATC demands, NOTAMS, landing respects, etc. == is willing to give and receive mentoring as regards site idiosyncracies. == has proficiency for what he or she does so as to avoid injuring others or his or her body or things. The style of hang gliding need not fit someone else's style. == is willing to leave the land perhaps cleaner than when he or she arrived to the land. == is willing to respect that the GGNRA is not liable for what he or she does while visiting the park, as is common understanding. == is willing to take 100% responsibility for his or her actions and the effects of those actions. == is willing to recreate so as not to disturb the peace of other land visitors. == is willing to be treated with equity as millions of US land visitors for 100s of activities on US lands with respect not having to be burdened with carrying third party liability insurance for each specific activity: walking, jumping, dancing, bicycling, surfing, swimming, kite flying, running, carrying umbrellas, high jumping, ball tossing, hand glider tossing, lifting each other up in the air in play, playing checkers, rock climbing, mountaineering, and many more; no policy for each specific activity. Note that the poor are invited to be recreational visitors to the People's lands, even the very very poor who can barely get through the day food wise; all are welcome to recreate without the burden of million-dollar coverage deals. It will be in future posts where I will face points brought forward by each participant, as thought needed. Last edited by JoeF on Fri Sep 21, 2018 5:18 pm, edited 3 times in total. The date of 1972 "chapter" status is questioned; Steve, do you want to clarify the matter? USHGA (Hang Glider) did not have FFFF as a chapter then. USHGA (Hang Gliding) did not have FFFF as a "chapter" then. So, I am seeking the fact of start of chaptership-USHPA for FFFF. What is the fact on that? Anyone knows? srskypuppy wrote: The Fellow Feathers of Fort Funston Hang Gliding Club enjoys numerous benefits from being a Chapter of the USHPA, which has allowed us to keep Fort Funston open to hang gliding since the creation of the GGNRA in 1972. FF hang gliding was occurring when FFFF was not a USHPA chapter. There was no USHPA in 1972. There was a second USHGA (Hang Gliding); FFFF was not a chapter of USHPA then. There are points toward this discussion that are in HERE.. Following police complaints that hang gliders were presenting a traffic and enforcement problem along the Great Highway at the city's coastline, the San Francisco Recreation and Park Commission voted to ban the sport at all locations except Fort Funston. -- "Controls set on hang gliding," Daily Independent Journal (CA), 13 Sep 1974, 4.